Going into my 3rd year teaching, I was finally beginning to feel more confident. I had successfully dealt with some difficult behavior problems, explained equivalent fractions to my 3rd graders without any tears, and I finally felt certain that my students were learning a lot. Then, I taught a lesson on character traits that resulted in an unexpected confusion in my students. Somewhere in the lesson, we had taken a close look at the character trait “friendly.” I’m not sure what exactly I said or did, but after the lesson my students became OBSESSED with describing characters as friendly. If a character handed a tissue to somebody, my students considered that friendly behavior. If a character took care of somebody else’s pet, that was friendly behavior. If a character took a nap, somehow that was friendly behavior! When I asked students to defend their reasoning and explain why all of these characters were friendly, the main answer I would get would be along the lines of “The character didn’t do anything mean.” Somehow, I had taught my class that anybody who was not mean is automatically friendly! I decided my students needed to broaden their character trait vocabulary and start thinking more about word connotations. We created a character trait word wall that we added to all year long. And eventually, my students stopped describing every character as friendly! 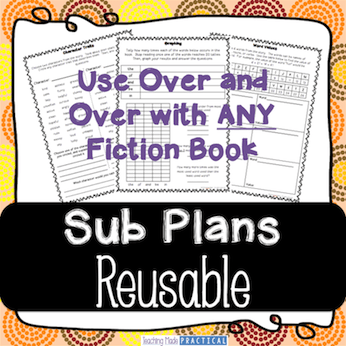 I’ve experimented with several ways to organize this word wall, and my favorite two options are below. Find a link to the FREE Character Traits Template near the bottom of the page! To create this word wall, I thought of several overused character traits – words like nice, mean, funny, smart, etc., and then I came up with several synonyms for each of these overused words. As a class, we sorted all of the synonyms into groups based on their meaning, and then I posted these groups to make a character traits word wall. Throughout the year, as we came across a new synonym that would fit into one of the groups, we would add it to the character trait word wall. Now, instead of simply describing a character trait as friendly, my students could refer to the word wall and choose the best word to describe a character. Use my free Character Traits List Sorted by Synonyms for reference! Another way to create a character trait word wall is to sort similar words based on their “Shades of Meaning.” This word wall is most effective if students are active participants in setting up the word wall. I have found that this word wall encourages students to think critically, discuss actively, and justify their thinking. For this word wall, students are given a list of words with similar meanings and have to order the words on a continuum. In the example pictured, words are ordered from “The Most Mad” to “The Least Mad” based on the connotation of the words. 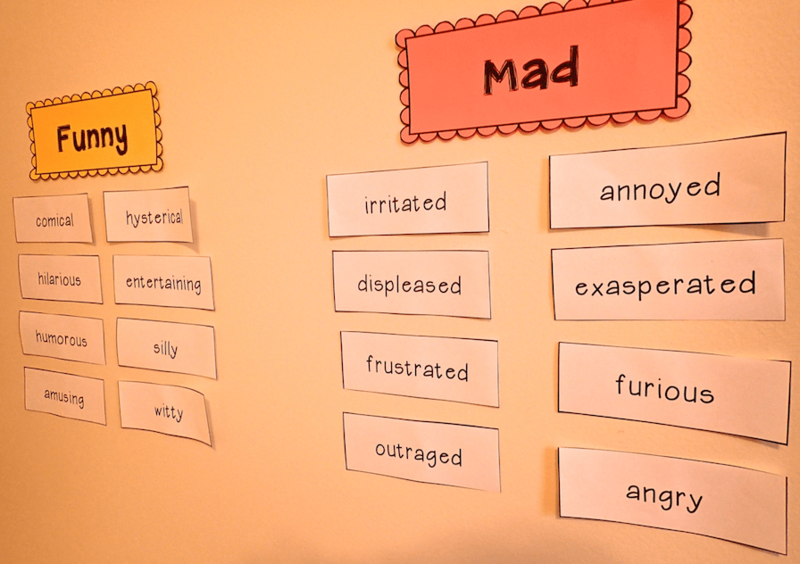 Students have to think about which word has a more angry connotation – is somebody that is irritated more mad than somebody that is frustrated? The students will not all agree about where words should be placed, but this allows for thoughtful discussion where students are required to defend their thinking. Get a free template of this character trait word wall pictured here. Thank you for this resource! This is exactly what I was looking for!